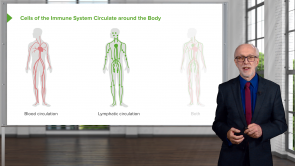 Immune System: Overview and Cells – Online Course | Start Free! Become an expert in Immunology! The download material includes presentation slides and related articles, and will help you learn the subject in even greater detail. Quiz questions allow you to test your knowledge. The physiological structure and function of the human immune system are key issues in the academic education of physicians and other medical professionals. In order to recognize pathogeneses on the micro- and macro-biological level at an early stage, and to be able to treat them adequately, a comprehensive knowledge of physiological and pathophysiological processes is required. Due to demographic changes, a continuous increase in psychosomatic diseases by immunosuppression can be observed. Therefore, besides an effective treatment with medication, physicians should also offer their patients possibilities for autonomous strengthening of the immune system, for example by changing their nutrition and lifestyle. The immune system is essential for our organism to survive. Without the ability to distinguish friend and foe, we would not stay alive for very long. Functionally we can differentiate between specific and non-specific immune response. 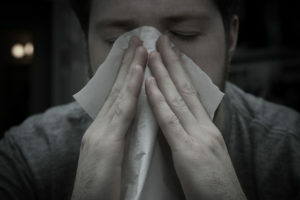 The unspecific immune response is like our body’s a first protective shield against pathogens. In the following article, you will get to understand the mechanisms of this immune response in a quick overview. As Usual superb , immunology is a tough subject, but you made it easy. I have a basis of immunology from undergraduate but most was memorised but after watching just a few videos he has managed to form links in my knowledge. I am truly satisfied with such a clear explanation. Thank you. Like it?.. no i love it. he is by far of all, quite knowledgeable and his delivery is near perfect. I enjoyed many other lecture series here on Lecturio, but thus far, immunology is my favourite and this is purely due to Dr. Delves. Following Immunology studies in medical school, I greatly tested it, but after listening to only a few of his lectures, I've not only learned to love immunology, but I'm excited to dive into it further. Thank you. Very clear lectures that flow seamlessly with easy to remember high yield points. Very easy to follow. My last block contained a lot of immunology, and I did very poorly on the exam. I had an incredibly difficult time teasing out the most important information and organizing the immune response in a logical fashion. All the terms seemed jumbled in my head. This block is infectious disease, and requires building on the foundation of immunology--so I need to rebuild my foudation :p After watched just 3-4 of the Lecturio videos, I immensely regret not using it earlier. Thank you Dr. Delves, for being clear and logical it what is a very difficult and complex subject! Very well organized material, will definitely follow up on this lecture! Dr. Delves is very clear in his explanations of the immune system and is able to distill the complex nature of the immune system into a digestible series of lectures for students just beginning their understanding of the immune system. For many years, I have read lots of textbooks and lots of lecture slides to learn immunology but it was always confusing and none of them knows how to begin immunology. 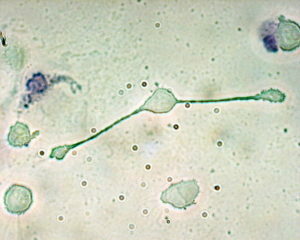 The immune system is a kind of spider web which has no begin and no end. On the other hand, Dr Delves is a very smart academician who found a way how to chance a spider web into a linear and understandable structure. If you need to learn immunology, don't waste your time beginning with memorizing every immune cell, every receptor. Instead, just leave yourself into the arms of Lecturio by Prof Peter Delves, Lecturio definitely takes you to your goals for sure if your goal related to immunology. We need a cloned one or twin of Prof Delves for Istanbul Technical University. I began to learn immunology with this lesson and just with 8 days of his video lessons I succeed to pass molecular immunology that's the lesson I hadn't passed for many years. I am grateful for you Dr Delves. The chaotic structure of immunology gets easy by your lessons. Not only your lessons made me be graduated from my undergraduate education but also you changed my mind about immunology. I like it very much after your lessons and the beginning of the journey was this lesson. Very clear and well explained. Mr. Delves' enthusiasm makes it all better. Thank you! Great lectures from a great teacher for building a good foundation of knowledge. I enjoyed the lecturer's energy, the overall organization of the video topics, and length of each video. Liked the content and the teacher makes it so easy and understandable, also the app is great, thank you guys. Awesome personality and attitude. His enthusiasm is gripping and keeps me interested! Again, another lecturer who appears very much in the know regarding their subject area; appropriate level of detail so far and I am enjoying it. This lecturer is very good; delivers at a great pace and you can tell he is very experienced and knows his stuff. No fluffing or stumbling over his words- goes into good detail. I am current;y taking Immunology and it was like a foreign language until I started watching these videos I am understanding the information!!! Very helpful, sir has done a great job. Thanks a lot, I have only begun watching it and I feel that I will be helped a lot. clear and understandable. covered the main aspects of immunology with simple words and attractive pictures. well done! Absolutely AMAZING lecturer!! I was able to understand all the basics of immunology with just one watch! Great enthusiasm and clear explanation. Thank you Dr Peter Delves. Dr. Delves was fantastic in his presentation, very proficient in the subject matter and a master of the queens language in a tone that kept me awake all through the lecture. I like his voice and his explanation of something very complex in an easy way for everybody to absorb the knowledge. He is a very professional lecturer! I like the calm tone of the instructor. The information is presented in such a way that is it easy to understand. It is taught in small chunks and then the chunks are gently stacked on each other until you see the entire picture. Great presentation. Cleverly taught. Professor Dr. Delves made the classes enjoyable because he made everything simple to understand. Immunology in my opinion is extremely intricate, if you lose focus you get lost. Dr. Selves went exactly to the point with what was important. The slides and topic reviews offered were great accompaniments to the lectures. Well articulated , good illustration with example. The follow of the lecture is good. Slide presentation perfect and easy to follow through. Thank you. Easy to follow and provides a great context to build from. Excellent presentation!! However, a minute or two filling in with a little more details would have been a tremendous completion of concepts. Really liked it. Very clear in concept and easy to understand. it is made simple, clear and easy to understand regardless the details need to be learned. this is the correct pedagogic way to teach and to learn. This is one of the things that shows that the teacher is a PhD. I wish those lectures were translated in french and that all medical students in my university benefit from it and also every medical student all over the world. Thanks for teaching us and for spreading the knowledge and make things easy for us. Very informative and pretty easy to understand. Recommended for people who has heard about the immune system before as it may be hard for beginners to understand. I liked the way the lecture was build up. A nice structure, and explained in such a way it makes it easy to understand. Immunology was one subject that I have hated since the very beginning I started studying it. I did understand what the immune system does but I really couldn't understand how everything was happening. After many unsuccessful attempts to understand it on my own I turned to these lectures and now I understand the core material. Thank you very much! Not only was the information vast, but it was concise enough to understand and follow along with. Peter Delves highlights the important parts that are very beneficial. Thanks. Nothing more i can say than excellent presentations. Every thing is just perfect. Considering this is a generic overview of the immune system its nice and condensed. It doesn't bite off more than you can chew in the first 45 minutes like a medical school overview can. Some clinical touchstones could round out the material and make it great. He is a super lecturer; the content, however, could be more challenging and in depth. We need more direct applications clinically described. Professor Delves has done a great job with this course. I am currently in medical school and while my Immunology professor is very intelligent she is very unorganized and gives poor explanations. This course is the perfect supplement. Course was great, however I would like to see some more info or more questions and maybe get in a little more detail at the cellular level.